The Little Bitchin Kitchen: Oven-Baked Sweet Potato "Fries"
There is nothing better than letting yourself indulge in a treat once in awhile. I am a huge sucker for fast food french fries but I try to avoid such calorie costly foods and instead opt to make a healthy version of "fries." These are a great substitute for the real deal AND you won't suffer from the "Oh-my-goodness, What have I done?" fast food blues. I really like spice, so if that is not your thing, feel free to cut it out of the recipe! Unlike most recipes for sweet potato fries that add cumin and/or brown sugar and a variety of other spices, I chose not to. I love the flavor of sweet potatoes by themselves and don't think they need anything to mask their original flavor. Also, I have learned to really good tricks to making these. One is to microwave the sweet potatoes for approximately 2 minutes prior to cutting them into your wedges. It really simplifies the task. Sweet potatoes are really tough when raw and slightly warming them really softens them enough to make working with them much easier. Secondly, these can be hard to make in large bunches. 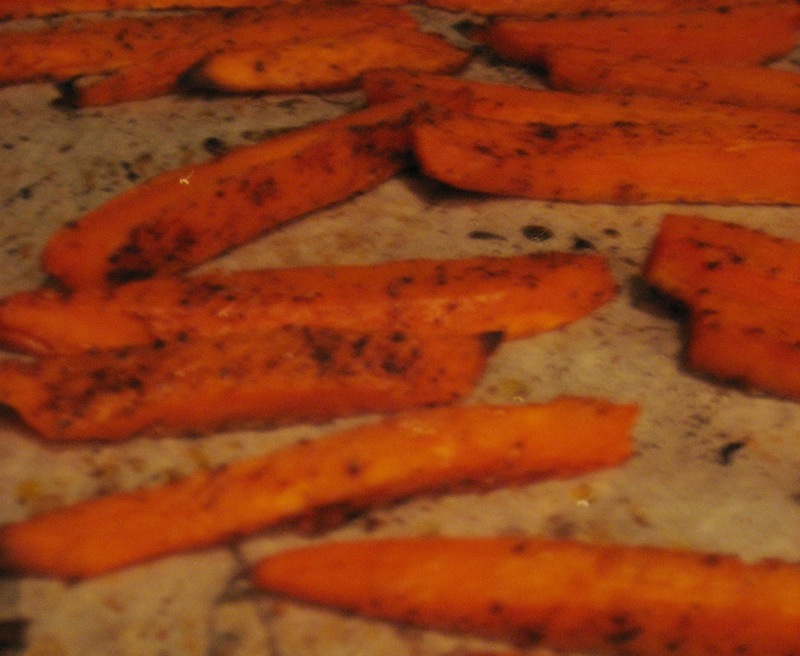 I typically do no more than two sweet potatoes per baking sheet. The reason for this is that you want your fries to come out crispy and mimic the "frying" of regular fries. When you cram to many sweet potatoes onto one sheet they don't have enough room to bake but instead they steam off of each other and come out mushy and soft. Did I mention that sweet potatoes are a super food? Even better! Bake for approximately 15 minutes. Flip each one individually and bake another 15 minutes. Keep a close eye on them and continue baking until crispy and browned to perfection. Trust me, you will feel like you just cured your fat tooth but you really just did your body a favor! Made these AGAIN last night. Todd can't get enough of them! Or then again they are additionally mainstream with occupied mothers who work and in the meantime the housewives. That's why they have to be boxed in a well-defined diet outline of any weight loss course. Read on to get more details about fat burning foods. Here are 10 super decisions of healthy sustenance on Earth to eat and remain healthy.